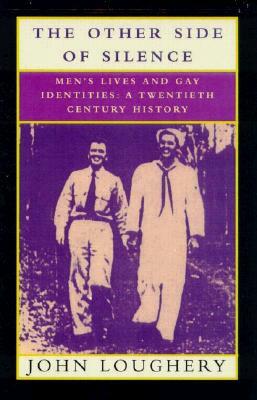 The only study of gay male history covering the United States since World War I. Based on hundreds of interviews, new and classic texts, and little-known archival sources, an award-winning writer offers the first narrative history to consider signal moments, general trs, and the multiple meanings of "gay identity" in the whole United States from World War I to the AIDS era and "queer" activism. The most readable, authoritative, and comprehensive investigation ever, The Other Side of Silence combines history and anecdote, politics and theory to reveal the personalities and textures of a largely unknown culture. A dramatic chronicle of seventy-five years of persecution and accomplishment, the book addresses both in equal detail: witch hunts in schools and the military, crusades of psychiatrists, the resistance long before Stonewall, the inspiring pioneers and activists. From Newport and the private-party networks of Nebraska and Florida's Emma Jones Society to gay rodeos, athletes, and support groups, here are first-hand accounts of what it has meant (and might mean in the future) to be a sexual outsider in the United States. Description: 507 pp., 12 pp. glossy b&w historical photos. Close to new, no markings or creases. Slight thumbing. A detailed history of gay men's identity and political activity within the United States from 1900 and mostly closeted decades, to the coming-out era in the 1960s and 70s to national political activism in the 1990s. Includes 27 pp. of reference notes, index. A readable blend of scholarship and anecdotal narrative. Cover shows saillor and soldier walking hand in hand. Size: 8vo -- 9.25 in. Keywords: GAY. HOMOSEXUAL. LESBIAN. ORIENTATION. SELF-ESTEEM. PRIDE. MEN. IDENTITY.